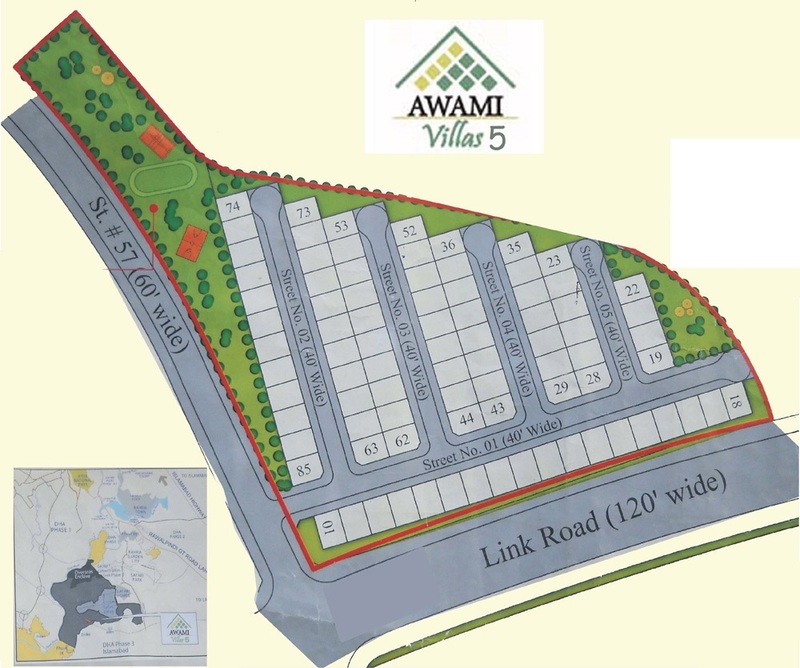 Awami Villas are located next to Abu Bakar Block in Safari Valley adjacent to Safari Homes. These fiber huts consist of 2 bedrooms and a sitting room. A small lawn is also part of the awami huts where people sit in the evening to ease out. Initially these villas were given at very low prices with a flexible installment plan but today the value of these huts stands near 35 to 40+ lacs. The demand for these huts is low, yet these are quality units to serve the residential purpose of a small family with low budget while enjoying all facilities provided by Bahria Town. Awami Villas is actually a misnomer since Bahria Town didn’t construct any villas for general public. Initially fiber huts were introduced under the name of Awami Villas, and later on multiple phases of residential apartments were launched under the same name i.e. Awami Villas 2, Awami Villas 3, Awami Villas 4, Awami Villas 5, and Awami Villas 6. Awami Villa Apartments are double storey buildings and each floor is a separate apartment. There are normally 2 categories of apartments i.e. Premier and General. Most of the apartments are Premier which means finishing is excellent and exquisite tiles are used, whereas general apartments do not have that fine tile work. Awami apartment ground floors are most expensive while the top floor is the cheapest. Normally prices start from 16 lacs up to 40 lacs for these apartments depending on location, floor, development status and category. Awami Villas 2 is located right next to Awami Villas 1, and it consists of huts as well as apartments. This project is almost complete except for few apartments which are nearly completed. 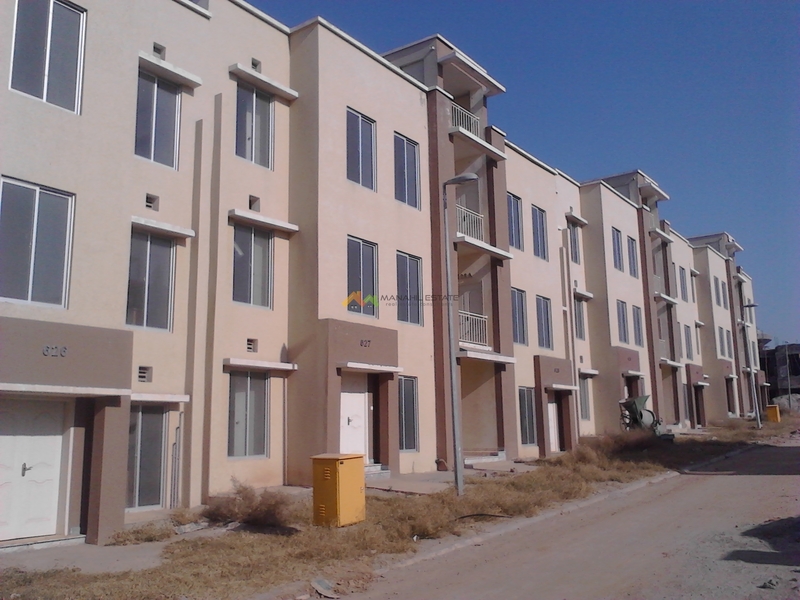 Awami Villas 3 is located next to N block of Bahria Town Phase 8. It is quite a large block consisting of around 1000 apartments, out of which more than 100 structures are ready and further construction work is going on. 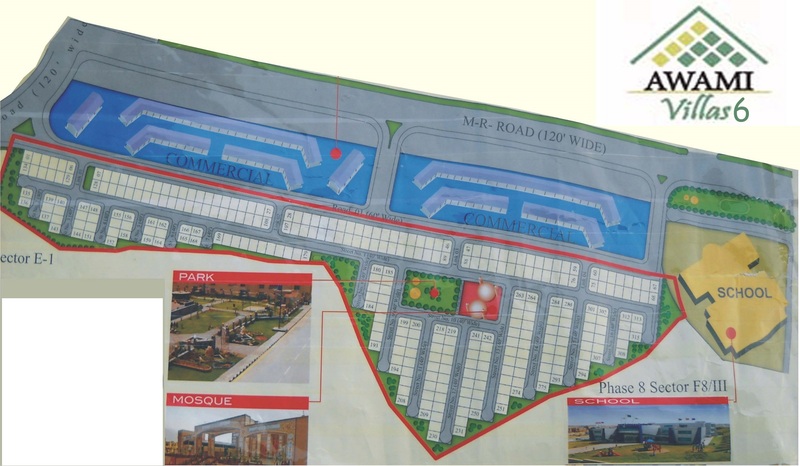 Awami Villas 4 is located in Bahria Garden City near Zone 4 Knowledge Village. These apartments are also under construction. 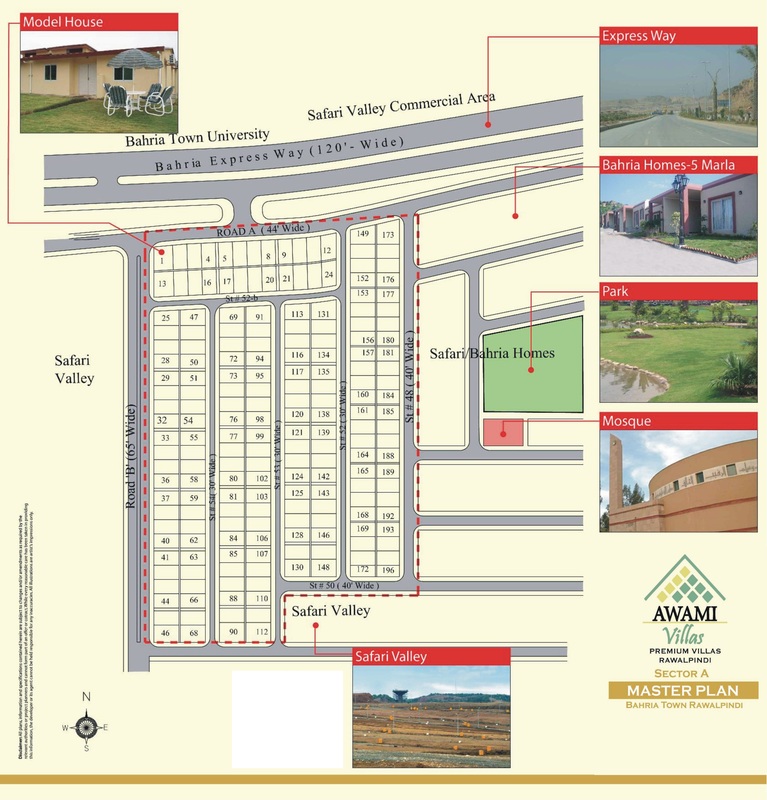 Awami Villas 5 and 6 are located on Ring Road of Bahria Town next to E-1 block of Bahria Town Phase 8. 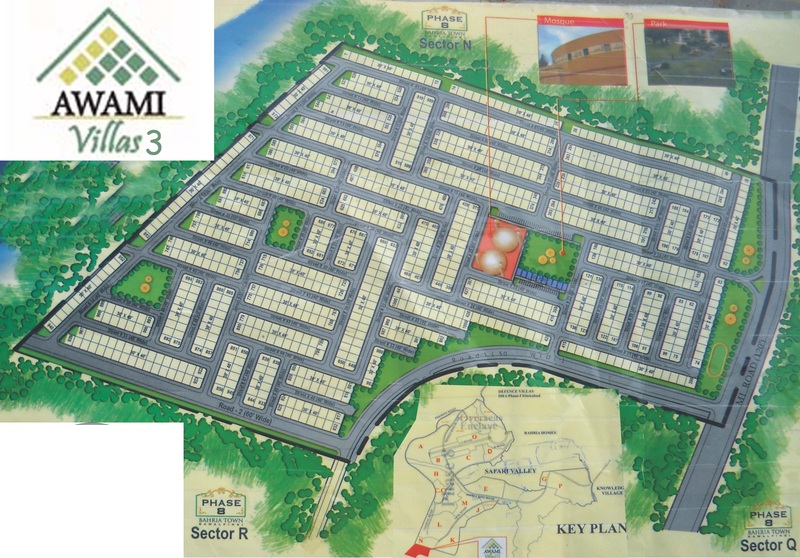 These apartments are in advance stage of construction and many apartments in Awami 5 are complete. 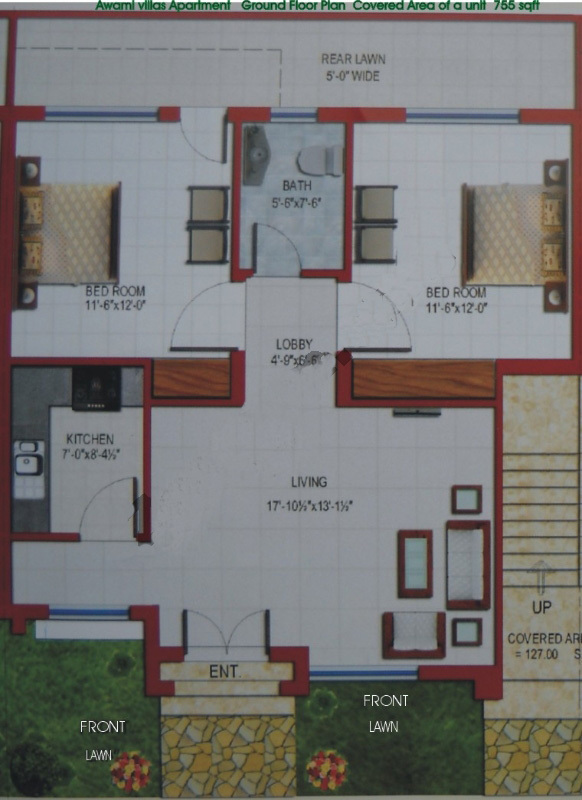 The layout plan consists of 2 bedrooms, 1 bathroom, sitting room and kitchen. Total covered area is 755 sqft. Awami Villas is one of the recommended options for investment due to a number of reasons including current prices, development status and profit potential. If you buy a 2 bedroom apartment for as low as 18 to 20 lac rupees with all dues clear, it can fetch about double profit after residence starts in this area. If you need some more information about Awami Villas Bahria Town Rawalpindi or you have any sale/purchase requirements, feel free to contact us for free consultation.